Category: Blankets and Throws. Tags: blanket, contemporary design, gift, hand finished, hand woven, Moroccan, moroccan wool blankets, Pom pom blanket, striped throw, traditional handicraft. 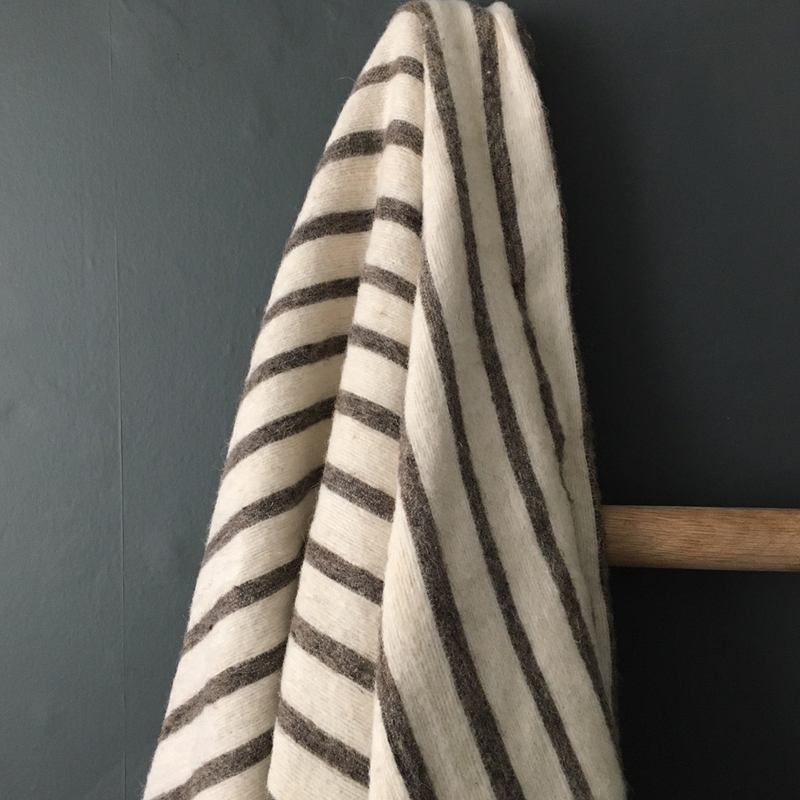 Stylish Moroccan wool blankets in a subtle colour palette of natural and grey stripes handwoven from 100% virgin wool in a town near Marrakech. These chic woollen blankets were handcrafted on a traditional loom using techniques passed down from father to son over generations. They were originally designed to keep out the cold in the High Atlas mountain. They have been given a modern twist with the addition of fluffy pom poms at the head and foot of the blanket and bold stripes. They are lovely and warm and perfect for snuggling under on winter nights. 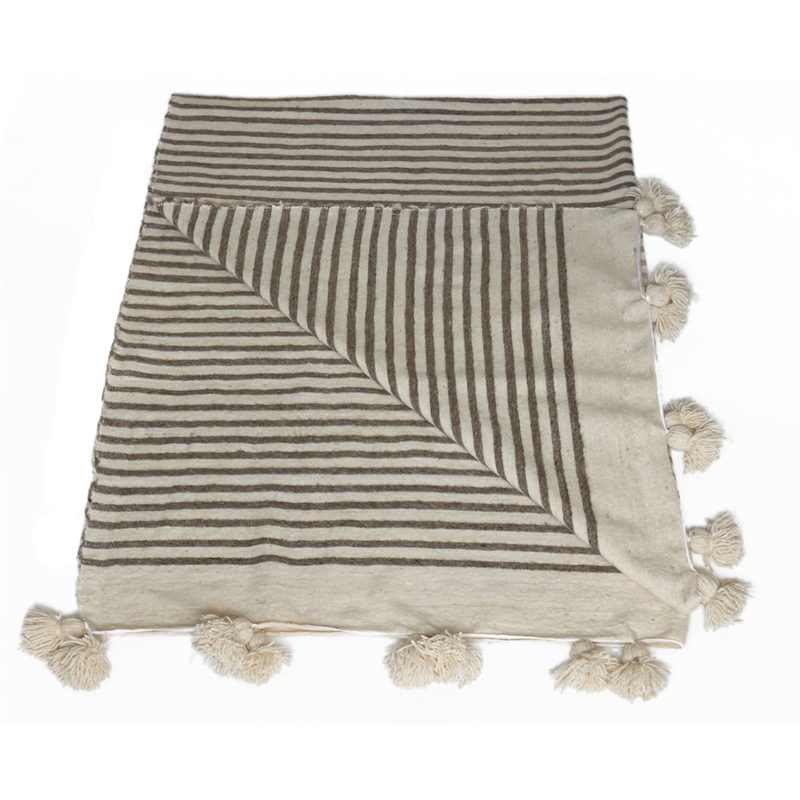 These super stylish Moroccan wool blankets work well as a coverlet, over a duvet or as a throw on a sofa or chair. The subtle colour palette works well in a modern rustic or minimalist room setting. Team with one of our Beni Ourain carpets or Souk Collection cushions to complete the look. 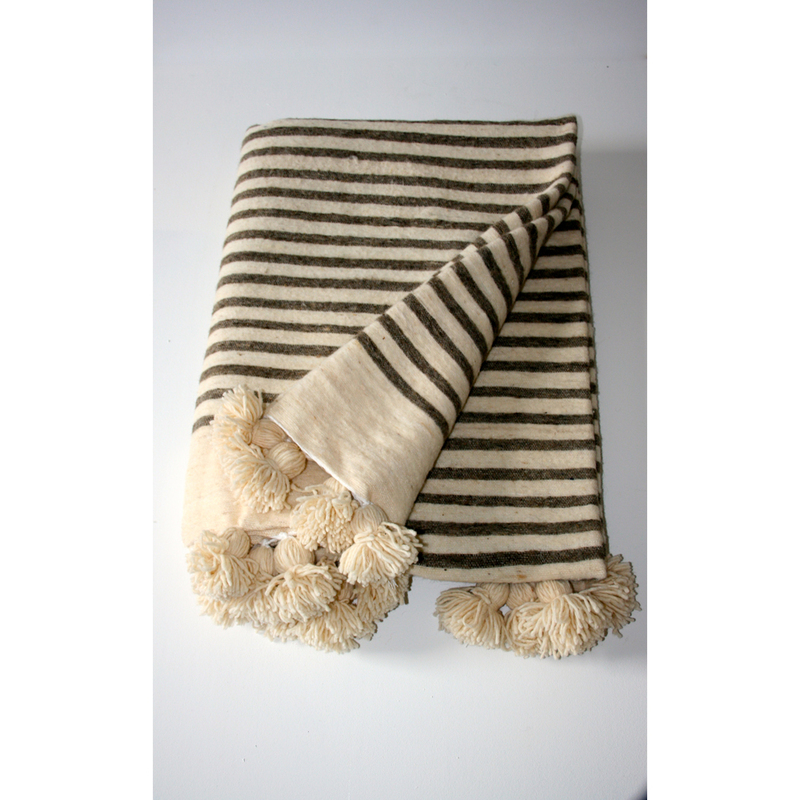 Each blanket is hand woven from hand spun wool virgin wool.